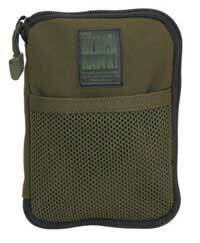 Designed for those big cargo pockets on your BDU�s, field jackets or travel vests. This organizer has 2 internal pouches for notepad, P.D.A., etc. 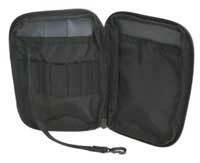  Internal elastic loops for pens, lights, or spare batteries and a sewn-in lanyard for keys, or handheld light.  External mesh pouch with hook & loop closure, carry handle, and belt loops complete the features of this "must-have" organizer.